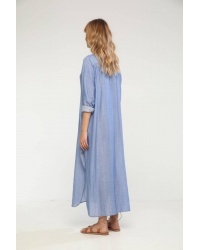 Bleu striped Long Shirt dress. 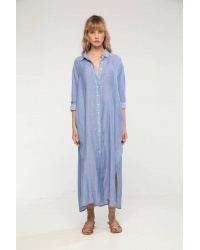 Shirt dress in double cotton blue Mediterranean and fine stripes, two pockets on the sides. Combine that long shirt with leather sandals.